Viewing at Boreham did get me south side, but an awful lot of heat haze in the images as they were quite a way off. Had I stayed put, they'd have flown right overhead. Sod's law. Quite a few people gathered to watch though. Also managed to get onto Waterloo Bridge, it really was chocca, the 100 formation was excellent and the F35s looked the business. Robin. I went to Battersea Park and it was reasonably busy with people. Good view but didn't really get the angle on the 100 formation. Shame about the weather, was sunny all day in Farnborough. 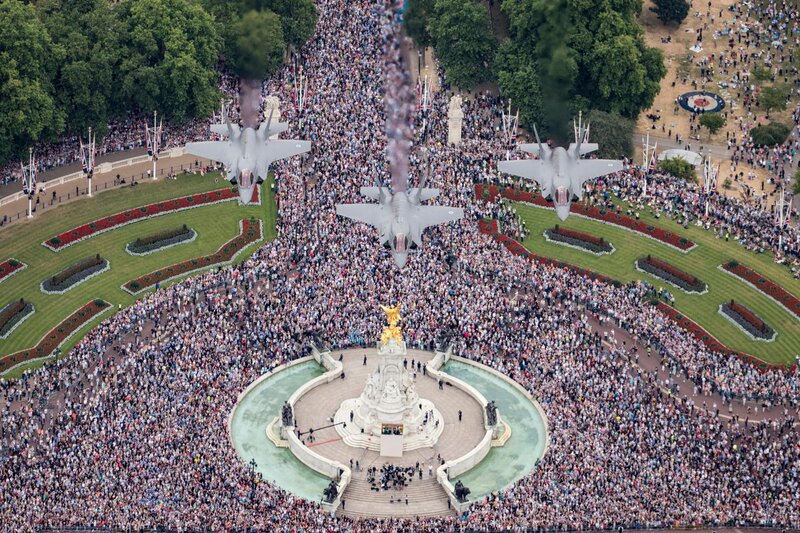 I counted 104 in the flypast which is great for the modern day RAF. Well we got a pretty cool looking STEM project delivered to school today which is in conjunction with RAF100. Bit of grass roots work going on I guess. Haven't investigated too closely yet...will report back! !